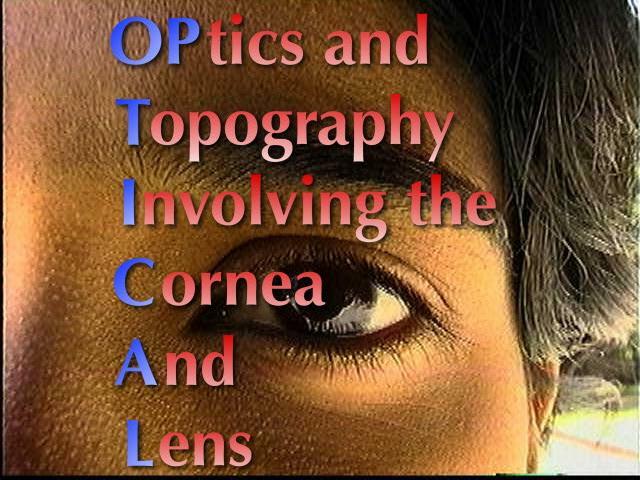 Welcome to the home page for the OPTICAL research project. This project is studying the cornea, the front part of the eye that is responsible for three quarters of the light refraction in the eye. Visual correction through contact lenses or recently developed corneal surgeries require precise information about the shape of the cornea. Through the use of geometric modeling and scientific visualization, this project is developing sophisticated techniques to provide improved shape representations of patients' corneas. We are affiliated with the Computer Graphics group in the Computer Science Division at the University of California, Berkeley. This research is in collaboration with the School of Optometry and the Vision Science Group at Berkeley. Our paper entitled Cylindrical Coordinate Representations for Modeling Surfaces of the Cornea and Contact Lenses published at Shape Modeling International, March 1-4, 1999. Our SPIE '99 paper and poster entitled Wavefront Coherence Area for Predicting Visual Acuity of Post-PRK and Post-PARK Refractive Surgery Patients. Our SPIE '98 paper and poster entitled CWhatUC : A Visual Acuity Simulator. Our November '97 Optometry and Vision Science paper entitled Gaussian Power with Cylinder Vector Field Representation for Corneal Topography Maps. Our SIGGRAPH '96 Electronic Theatre video entitled The OPTICAL Project at UC Berkeley: Computer Aided Cornea Modeling and Visualization. This video has been redone with new data here. Our SIGGRAPH '96 paper entitled Reconstructing Curved Surfaces From Specular Reflection Patterns Using Spline Surface Fitting of Normals. Corneal Astigmatism and Fluorescein Patterns : The OPTICAL Project at UC Berkeley video. This video was awarded first place in the Scientific Visualization category of the San Francisco SIGGRAPH 1997 Student Animation contest. 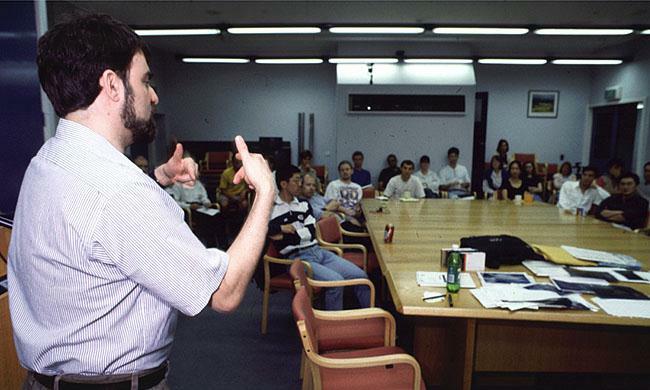 Prof. Brian A. Barsky speaking at IACLE and CCLRU of the University of New South Wales in Sydney, Australia. Corneal topography, videokeratography, keratoscopy, videokeratoscopy, keratometry, contact lenses, corneal topographic mapping, contact lens design, fabrication, keratoconus, corneal refractive surgery, radial keratotomy (RK), photorefractive keratectomy (PRK), and laser in-situ keratomileusis (LASIK). Copyright © 1998 OPTICAL Research Project. All rights reserved.